about the Lake Hugh Muntz Care Group (Care Group) Newsletter. Councillor Taylor has confirmed in his letter that Council is not prepared to maintain Lake Hugh Muntz as a “PRIMARY CONTACT” recreation water quality and argued that to achieve this level of water quality would “require filtration or chlorination” to achieve “PRIMARY CONTACT” status and that this “is not practical for a range of reasons”. To be clear, the Care Group – with its substantial community of supporters including many regional surf life saving clubs, sporting clubs and community organisations – does not accept either Council’s or Councillor Taylor’s view and intent that Lake Hugh Muntz should not and cannot, for practical reasons, be maintained substantially as a “PRIMARY CONTACT” water body. Because the lake is such an important primary use community asset, the Care Group and the community are of the single minded view that the objective of Council must be that LAKE HUGH MUNZ IS MAINTAINED AS A PRIMARY CONTACT WATER ASSET FOR THE BENEFIT OF THE COMMUNITY. Further, the Care Group has received independent expert advice that there are technical solutions available other than chlorination or filtration that could – with appropriate Council support – be considered to improve and potentially restore the water quality of the lake to pre 2007 levels. Council seriously and expeditiously investigates all available technical solutions to returning the lake on a sustainable basis to be suitable for use as a PRIMARY CONTACT water body. 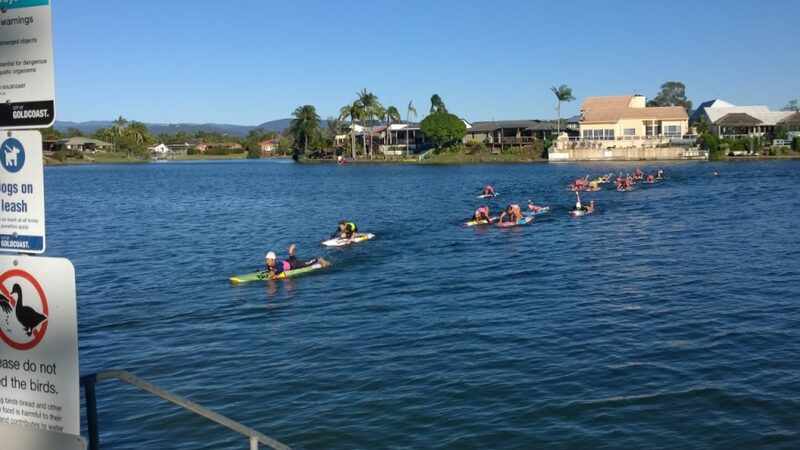 Lake Hugh Muntz is an important training facility for our Nippers that learn the skills of swimming and board paddling in the Lake. It is vital our Nippers as young as 7 years old, begin to develop their confidence in a safe and controlled environment. For these young kids, learning their skills is dependent on confidence and the flat water of Lake Hugh Muntz is the best facility we have to help develop this. Fear of marine life and large waves are not present at Lake Hugh Muntz and our kids have developed their skills here over several years. This is a rare and valuable asset for all residents which must be protected. It is the children such as those from Mermaid SLSC and other Surf Life Saving Clubs that are the future of Queensland Life Saving and protect Council Beaches. I’m sure the Gold Coast Council is serious about protecting our valuable long term asset in Tourism. If so, the provision and maintenance of a safe facility for our future Lifesavers to learn their initial skills, is a sound investment. Please follow link below for document. 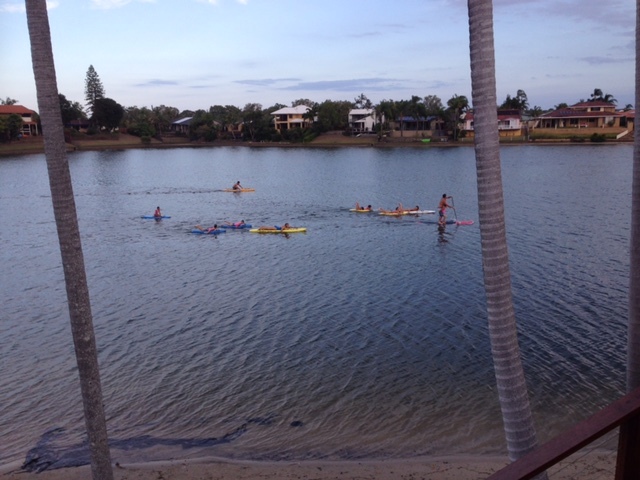 Despite one of the coldest mornings this year, Northcliffe SLSC hits the water for their regular board/swim sessions. 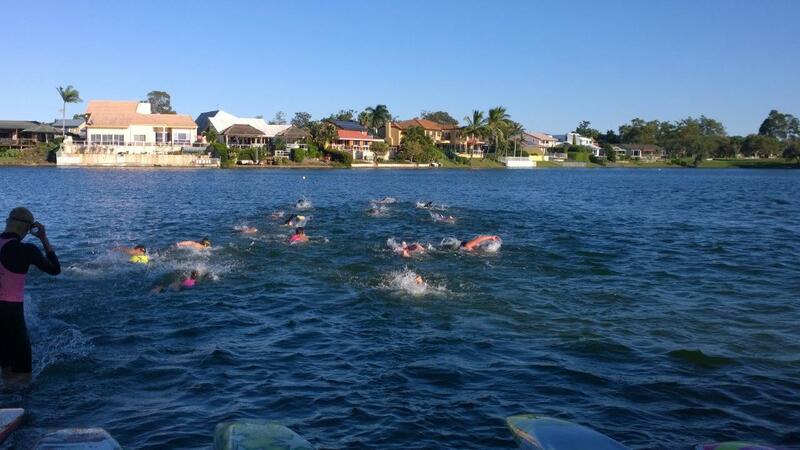 Its important to “mix it up” with training in both surf and flat water so LHM is ideal. It also provided a sheltered area with the wind blowing early on the coast. Some of the athletes were still hesitant to put their head under for the first time!